In the United States, tax laws are difficult to comprehend without a professional at your side. A number of lawyers are also CPAs, and other types of attorneys focus on tax litigation. Different regulations dictate when the government can tax citizens for personal income, real estate, business profits, gifts, estates and a variety of other sources. Is the IRS Claiming You Owe Back Taxes? Income tax is a common source contention between the government and individuals and/or business owners. When a person owes back taxes, the worst thing he or she can do is ignore the notices from the IRS. The sooner you can review the situation with a tax lawyer, the better you can plan a back taxes defense. Tax attorneys can negotiate with the IRS on the behalf of a person or business, and litigate the issue in tax court when necessary. When an individual ignores IRS collection notices, penalties and interest will start to build. Further, if the IRS places a lien on a piece of property or a business asset, you will likely lose the ability to file bankruptcy to discharge the tax lien. Can Bankruptcy Lawyers Help People with Tax Problems? Bankruptcy can be an extremely useful tool for individuals with income tax debt. Certain income tax debt is dischargeable if it meets the eligibility requirements. Once an IRS debt becomes a tax lien on a piece of property, it changes from being an unsecured loan to a secured loan. This has the effect of making the lien non-dischargeable in bankruptcy. However, you may be able to stop foreclosure from the tax lien by filing Chapter 7 or Chapter 13. Most bankruptcy attorneys offer free consultations to review your debt situation and offer you options. 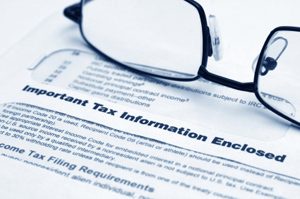 How Do Estate Planning Lawyers Minimize Taxes? The federal government exempts a certain amount of a person’s estate from taxation. In 2015, this amount was over $5 million. Therefore, estate taxes (sometimes referred to as “death taxes” as an anti-estate tax political euphemism), only affect multi-million dollar estates. Some states have their own estate taxes, with exemptions that are typically lower than the federal exemption. A few states also have separate inheritance taxes, which affects those who receive portions of an estate. • Irrevocable trusts – Trusts involve the owner of an estate setting aside funds to reserve for beneficiaries. Most importantly, money in a trust is not taxable. However, the owner of the trust usually is unable to access the funds. Certain trusts may allow benefits to be paid out to beneficiaries when the owner dies or they may allow a spouse or other person to access the funds. • Designate a beneficiary through an annuity, IRA or other fund – Certain types of funds allow owners to name a beneficiary who gains from the fund after the owner passes away. These funds are typically exempt from the estate tax. • Lifetime gifts– Another way for estate owners to limit estate taxes is to be generous and give funds to future beneficiaries before passing away. Anyone may give gifts worth up to $14,000 annually before gift tax liability would apply. Those seeking to lighten their estates can avoid the gift tax altogether by paying for another person’s medical bills or college tuition directly.